The Master Concrete Placers Association Annual National Awards we have won. At the 2010 Annual Awards we came home with an award winning job, which we are very proud of. 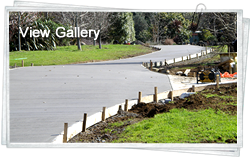 At this year's Master Concrete Placers Association Annual Awards 2011 we came home with 2 award winning jobs, which is very exciting for us. 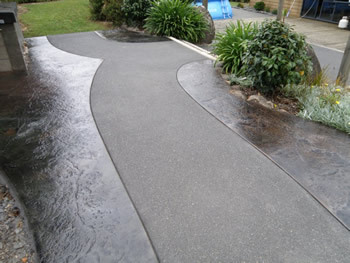 Decorative Path – to achieve this fabulous looking path we used two different finishes - imprinting and exposed aggregate to match it up with previously poured exposed aggregate path and patio to give the entertainment area that 'wow factor'. 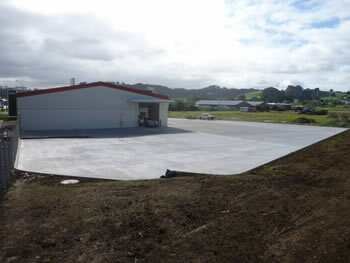 Farmlands, Kamo, Whangarei for Hayman Construction Ltd – We placed and finished all concrete work on this job from floor slab and infills to yard, car park and vehicle crossing. Including the majority of the concrete cutting required for this job.